On his 21st birthday in November 2018, during his study-abroad year at the London School of Economics, Alex Wong was in the British Museum when he got the call from his friend and business partner, Parker Hughes. “We got the money,” said Hughes. A beat of dead silence, and then Wong “had a freak-out” in the dignified space, right next to the hallowed Rosetta Stone. It had taken months of meeting with partners, preparing pitches and finally presenting to a “Shark Tank”–style panel, but their application to the Dorm Room Fund, which provides startup funds for student ventures, had been successful. 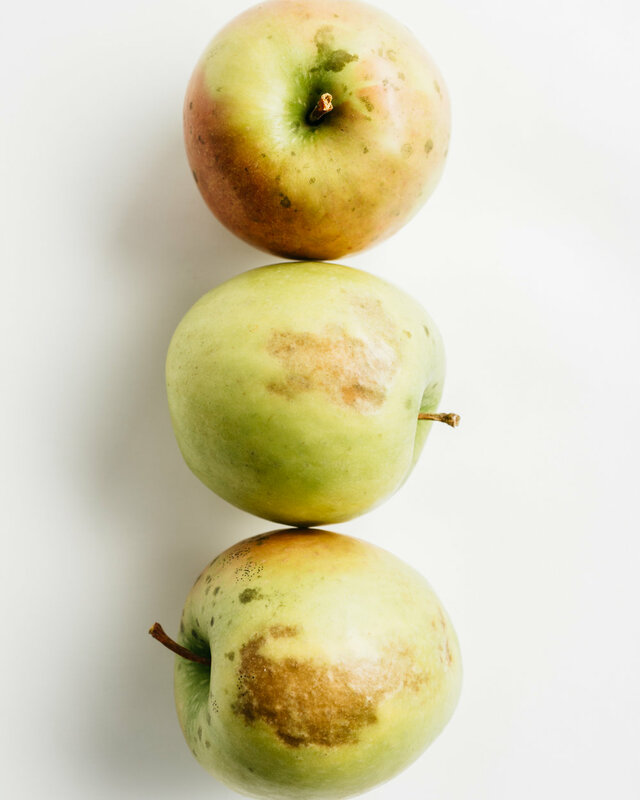 The funding would galvanize their company, BRÜZD Foods, created in response to the 150 tons of food waste in the U.S. each day—about a pound of food per person daily, according to The Guardian. BRÜZD Foods delivers a one-time or weekly bag of farm-fresh fruits and veggies, a medley of whatever is in season that week, to customer doorsteps in the Boston area. In summer, the bag might contain a head of lettuce with fruits like tomatoes or peaches with assorted seasonal vegetables. In winter, customers receive a seven- to 10-pound mix of veggies like squash, cabbage, sweet potatoes, carrots and other root vegetables. All the produce are “seconds” from small farms—maybe a weirdly shaped carrot, a zucchini with a wart—with cosmetic issues that don’t affect flavor but make them unlikely to sell at market. The benefits are threefold: Farmers collect income for a larger percentage of what they grow; consumers receive fresh, delicious food at a reasonable price; and food waste and accompanying environmental effects are reduced. Growing produce uses land and irrigation and exposes the earth to millions of pounds of pesticide, all of which takes an unnecessary toll on the environment when food is wasted. Rotting produce also releases methane, a greenhouse gas more than 25 times more impactful towards global warming than carbon dioxide, according to the EPA. Wong, a junior at Boston College studying economics and math, and Hughes, a junior at Emerson College studying consumer psychology with minors in philosophy and digital media, grew up together in rural New Jersey and both ended up in Boston for college. Hughes had long hoped to start a business and began exploring how to use business as a vehicle for social good. Wong was drawn to economics as a way of understanding societal issues, and entrepreneurship became his way of taking action on those issues. They would stay up writing business plans together until the wee hours of the morning, falling asleep on subway rides going home, before deciding it was easier to room together. With their initial plan, turning “seconds” produce into juice for retail, they hoped to create more demand for sometimes-overlooked produce. 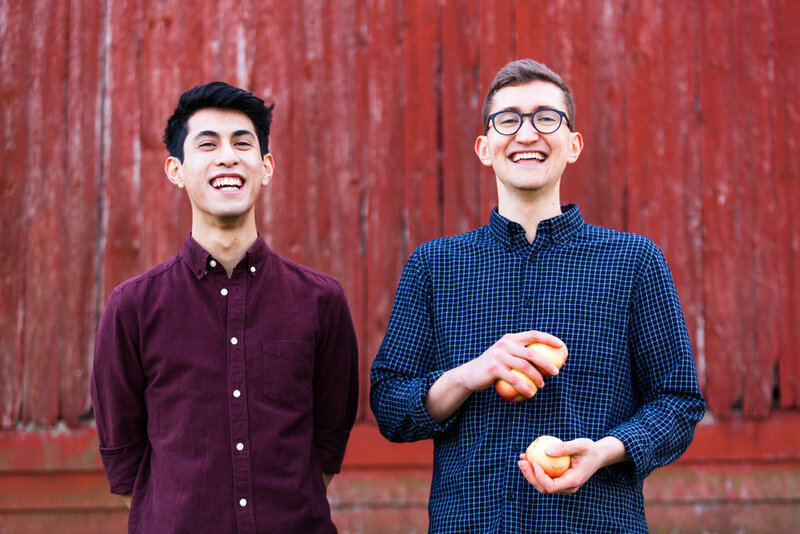 The idea took shape in the autumn of 2017, while they lugged a juicer back and forth on the T. Talking to farmers, however, the pair encountered a problem: The supply chain for “ugly” produce made sourcing difficult. Some farms don’t bother to harvest seconds produce because they have no significant outlet for it. Everyone they spoke to “acknowledged the idea of waste on the farms,” said Hughes. Their solution became BRÜZD Foods, a little company with a lot of big ideas. Connect farms directly to customers. Offer a wide variety of fresh, local produce at competitive prices. Reduce waste and its negative effects on the environment. Use a delivery service to alleviate the effects of food deserts, areas with limited access to affordable, nutritious food. Adopt reusable materials and keep emissions from deliveries as low as possible. Wong and Hughes lead a team of five dedicated interns from local colleges, adding another aspect to their ambitions: Connect the major universities in the area through their students, uniting the next generation under a common goal, seemingly nothing short of saving the world. To that end, education and community-building will be a focus for BRÜZD Foods moving forward. “We want to be holistic—not just your delivery service, but something that connects you to others in your area,” said Hughes. They explore creative partnerships and ask how the company can help customers cook, eat and think about food in new and creative ways. One such initiative took place last November, when BRÜZD partnered with local businesses and nonprofits to host a dinner called “Seconds, Please!” On offer was a mezze bar including two seasonal salads made with seconds produce from Winter Moon Roots farm in Hadley, as well as falafel, hummus and pita from Clover Food Lab. WeWork in Cambridge offered space to host the event, and Food for All, which “rescues” unsold restaurant food, contributed desserts from a local bakery. All leftovers were donated to Food for Free for redistribution to combat hunger. The dinner was a success, and they plan to host more. Hughes said, “It really accomplished what we set out to do: showing you can make really delicious, beautiful dishes with produce that is ugly or imperfect.” This reflects one of the company’s core tenets, he said: that imperfection can be beautiful, both within food, and without. It’s probably naïve to think that one can save the world by eating a warty squash, but the idea behind this is necessary—urgent, even. A mind-set of appreciation for every resource, of rejecting consumerism even for a moment in favor of something that might go overlooked if nobody pays attention, is a meaningful concept. Power to the produce, indeed.